This 14" tall waisted vase from Galway Crystal is cut in the Merlin pattern. 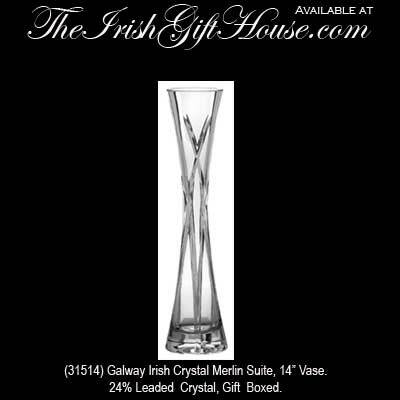 This Galway Irish Crystal Merlin vase is a 14” tall waisted vase that is made of 24% leaded Irish crystal. The Merlin vase is gift boxed and is from Galway, Ireland.